The glory that is our Australian sun has the power to be both life sustaining and devastatingly harmful. 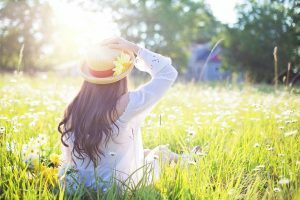 In order to avoid the potentially damaging effects of exposure to the sun, and to maintain a healthy and vibrant glow to our skin, it pays to put in a little extra time and effort to our summer skin care routine. Ensure you receive ten to fifteen minutes of sun daily to prevent vitamin D deficiency but avoid the sun during the middle of the day when UV exposure is at its highest. If you are out in the sun during these hours be sure to wear a hat and cover yourself up as much as possible. Skin care is not restricted to what we put on our bodies, but includes what we put into our bodies. Consume a diet high in whole foods and fresh seasonal fruit and vegetables; avoid processed foods and large, heavy meals that will weigh you down and result in sluggish digestion. The dry and wrinkled effects of dehydration on the skin are not pretty. It is especially important during the summer months to keep your body well dehydrated with pure water (coffee, tea, juice and sodas do not count). Don’t wait until you feel thirsty to drink water: if you’re thirsty then you’re already dehydrated and the body will be pulling water from your skin cells. Besides helping you maintain your weight, increase fitness, and tone your muscles, exercise is fabulous for your skin. By increasing blood flow through exercise, your skin receives vital nutrients, and is able to rid itself of toxic debris. Consider it part of your internal skin cleanse. For your external skin cleanse, give yourself a rigorous dry skin body brush before your daily bath or shower. This will assist in loosening and ditching dry and dead skin cells; invigorate the lymphatic system, improve circulation and reduce muscle tension. Nothing says summer more than a natural body scrub which will help slough off dead skin cells, leaving your skin soft, smooth and summer ready. 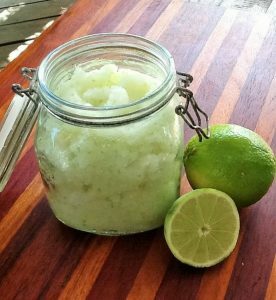 Try our homemade lime coconut body scrub in the shower once a week after your dry body brush. Our skin does need moisture and it certainly helps give the appearance of gorgeous skin, but avoid overusing topical moisturisers – they will only block your pores and glands, reducing your skin’s ability to expel toxins and bacteria. You would be far better off moisturising from the inside out, by drinking more water and ensuring your diet contains adequate amounts of healthy fats. Moisturisers also pose certain safety concerns as the majority are laden with harmful chemicals. If you must use a topical moisturiser, learn how best to choose skin care products, don’t waste your money on expensive products, and go as natural as possible. The skin is the body’s largest organ and deserves the best care possible. Thanks to the global connections accessible via the internet, the world is our oyster in terms of locating the safest and most natural products for our precious skin. I personally recommend making your own products wherever possible, it is not only cost effective but extremely satisfying, and comforting to know exactly what has gone into your sunscreen, moisturisers, cleansers and toners. If you have any tips for keeping the skin smooth and supple in summer, share in the comments section.